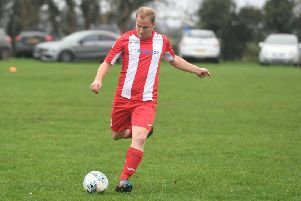 Mason Hazard appeared to have won it for Skegness, but Park scored a last-gasp leveller to take the game into extra time at Boston Town’s DWB Stadium. And Park grabbed the only goal of the additional 30 minutes to win 2-1. The winning goals came from Alex Limb and Neil Allen.